Need more reasons to come to DAX Minnesota 2019? We can think of lots of good reasons, but some of the best reasons are listed below. The following exhibitors have posted show specials that they want you to know about, and there will certainly be many more when you come to DAX. Depending on what you need and which special offers you take advantage of, you could easily pay for your trip to the show! Visit PPAI Booth # 512 to see our Show Special. Offering PANTONE discounts and Receive a membership gift bag with beautiful promotional products valued at over $100. Membership also includes a SAGE Total Access single user license valued at $495. $1,000 OFF MSRP of any Bravo Pkg. EnMart offers 5% off already low wholesale prices to those who buy at the show. 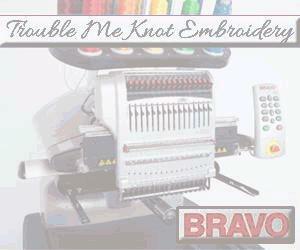 We also have package pricing on sublimation printers and supplies. Deals may be available on demo printers and heat presses used at the show. First order ships FREE to any new customers. Visit our booth and ask for show special. Full shop set ups for all levels have on-site discounts of up to $2500. Stop in booth 516 for details. Exclusive day of show specials and exclusives on equipment and supplies. Visit Stahls' in booth #202 for a demonstration and show specials on our award-winning Hotronix heat presses! SPSI will be featuring the following equipment Workhorse Freedom Express Automatic press, Conveyor Dryer, Screen Dryer, Lumitron Exposure Unit, Mach Manual Press, Mimaki CJV150-75 Print and Cut, ASPE 2 Color Auto Press. Stop by and speak with one of our knowledgeable sales staff and take your shop to the next level. Sign up at the Show and Get $100 Off Set-Up Fee! Enroll with Points Plus at DAX Minnesota and receive 750 bonus points! And, if you buy any equipment at the show you'll receive 2x the Points Plus points on your purchase! Screen Cleaning products with soy-based and citrus-scents for U.V., Plastisol and Solvent-based Ink. Screen Wash! Press Wash! Emulsion and Haze Removers! Screen Prep! Degreasers! Professional, Economy, Ultralite Screen Cleaning Packages! Filtration, Recirculating, Hi-pressure Washer systems! Washout Booths! Inkjet and Laser Heat Transfer Papers for Light and Dark Colors. No MINIMUMS and FREE shipping! $250 Credit in First Edition stock or custom heat transfers with the purchase of either the CHE-2800 or the CHE-2400 Cliff Hix Heat Press. 20% off your first stock or custom heat transfer order. Good for thirty days after the show. SUBLIMATION101 is offering discounts on all Printers-Papers-Presses and Products! visit www.sublimation101.com to learn more! ALL SUPPLIES ARE TEN PERCENT OFF ,SHOW SPECIAL ONLY !!! Exclusive show specials on Anatol all-electric Volt auto, Solutions dryer, Lightning manual in seminar room with Charlie Taublib, Exile FREEstyler, LightSpeed multi-spectrum exposure unit, OmniPrint Freejet 330TX Plus and Geo Knight DK20S heat press. Enter a drawing to win a FREE 5 gallon of white ink!